Hello, everyone! I’m so sorry that I haven’t been able to post these past few weeks. 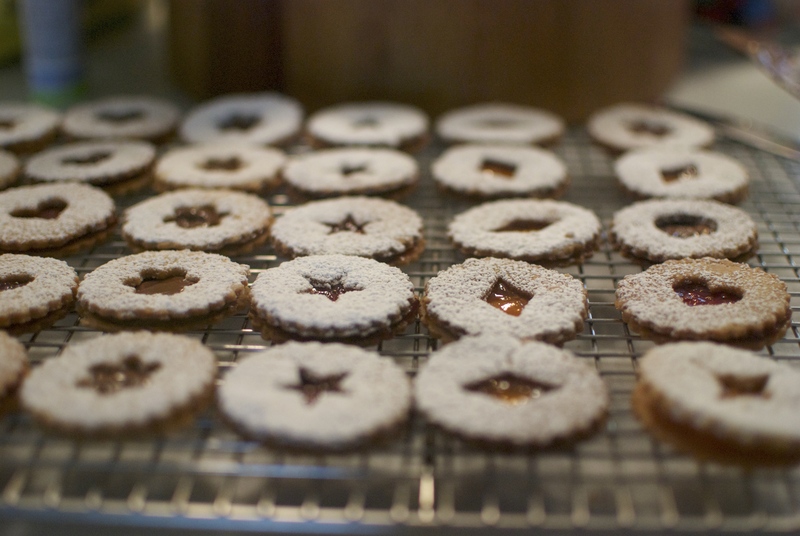 But now I’m back and ready to share this recipe for Linzer Cookies from King Arthur Flour. 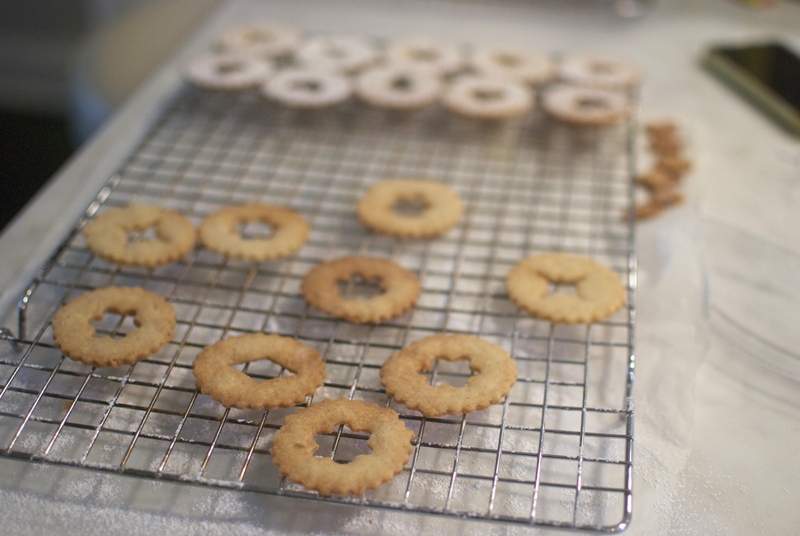 These cookies are so gorgeous and delicate, and they’d make a lovely holiday gift. 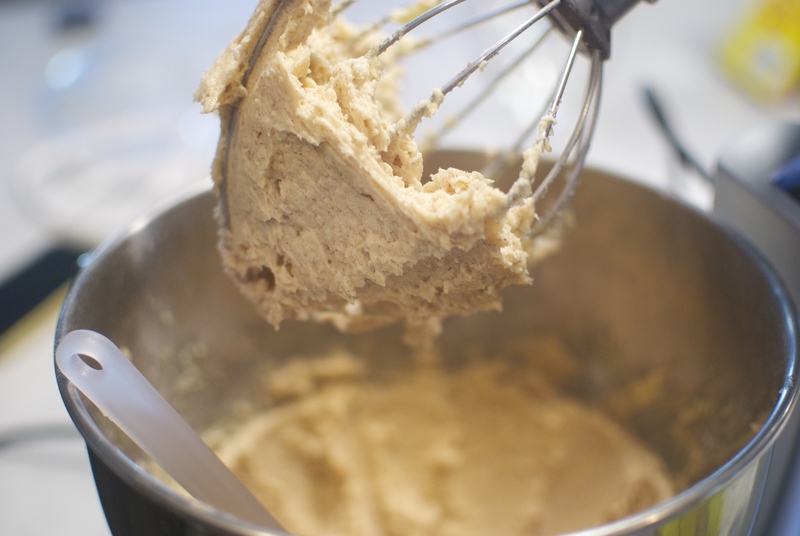 Another bonus is that the dough freezes extremely well, so you can make it ahead! 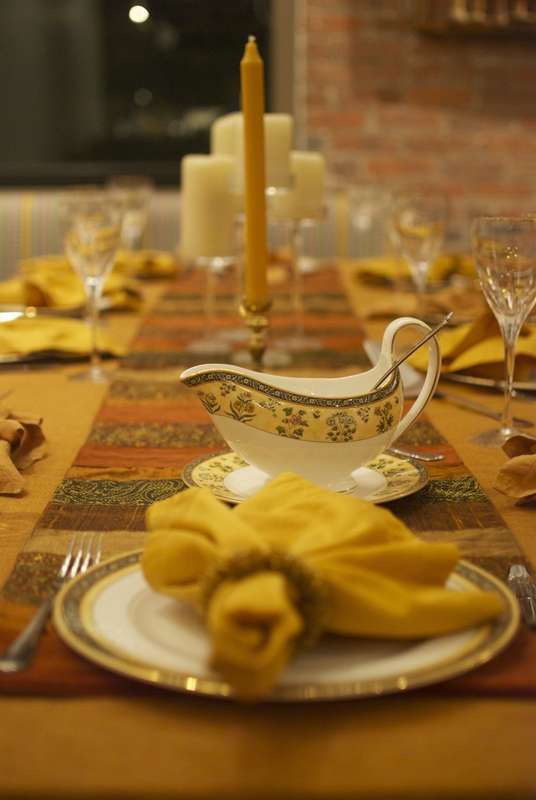 How was everyone’s Thanksgiving, by the way? I’d love to hear how things went in the comments. 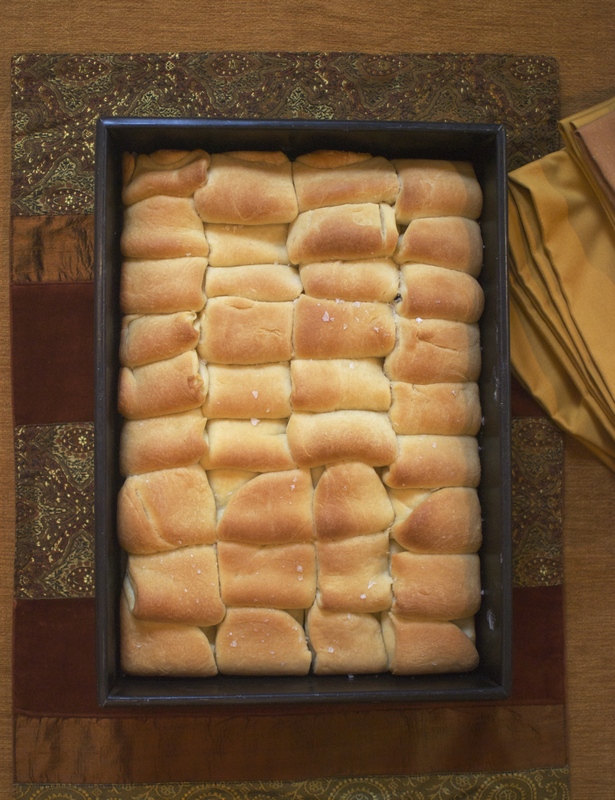 We started with these homemade Parker House rolls with lunch. 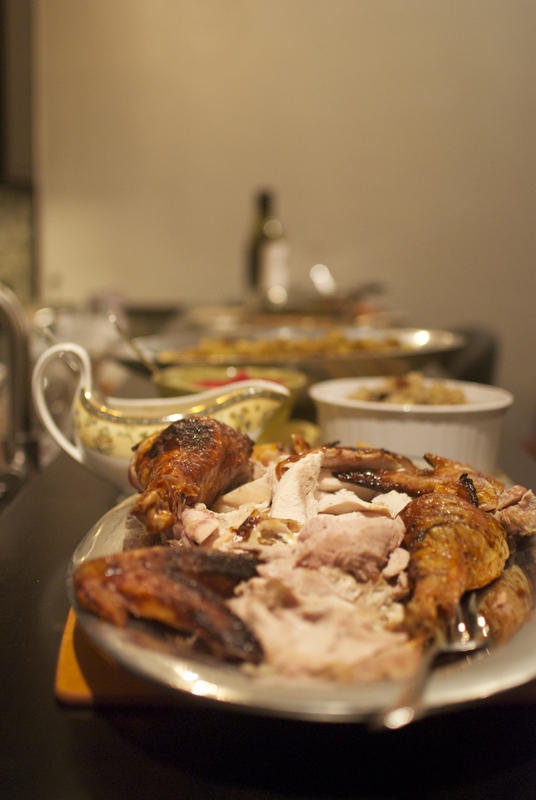 Then came the big dinner! 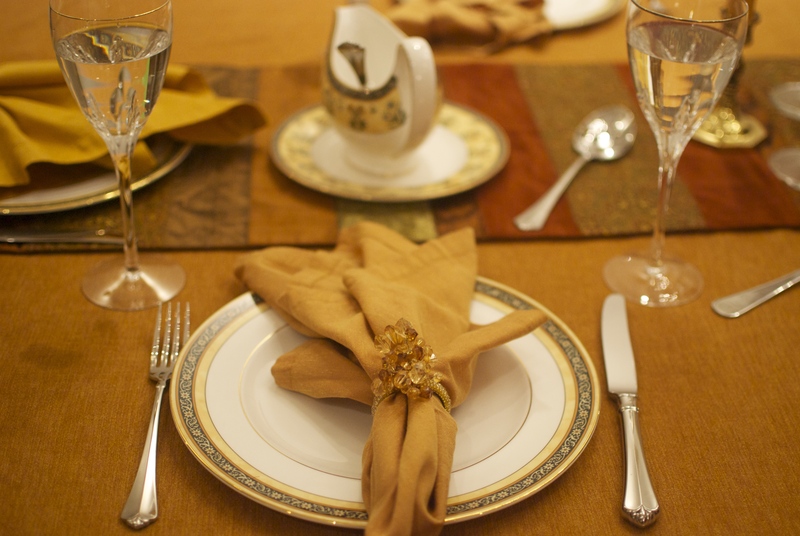 But the food looked even more beautiful! 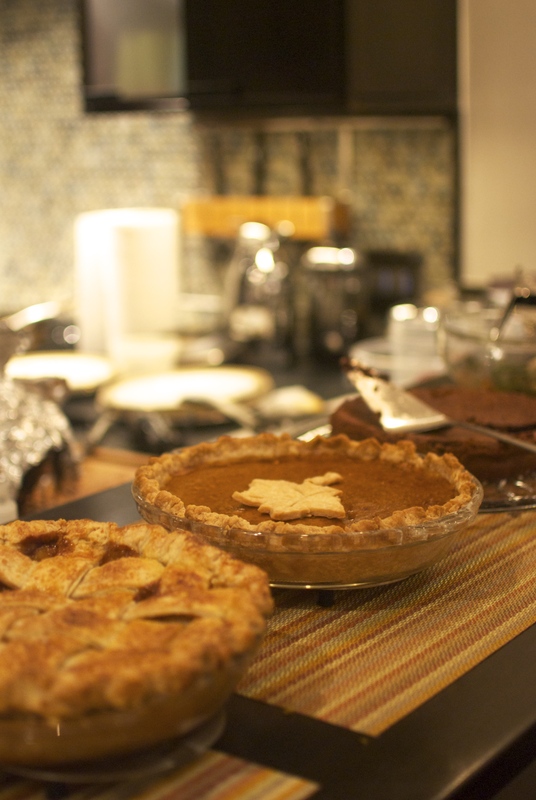 We ended with a trio of desserts: Salted Caramel Apple Pie, my grandmother’s Pumpkin Pie, and a Flourless Chocolate Cake. Complete with ice cream and whipped cream, of course! Aaaand now for the cookies! We’ll start with creaming some butter, sugar (granulated and powdered), baking powder, cinnamon, salt, and vanilla. Before dividing it in half, wrapping it, and sticking the dough in the fridge to firm up. 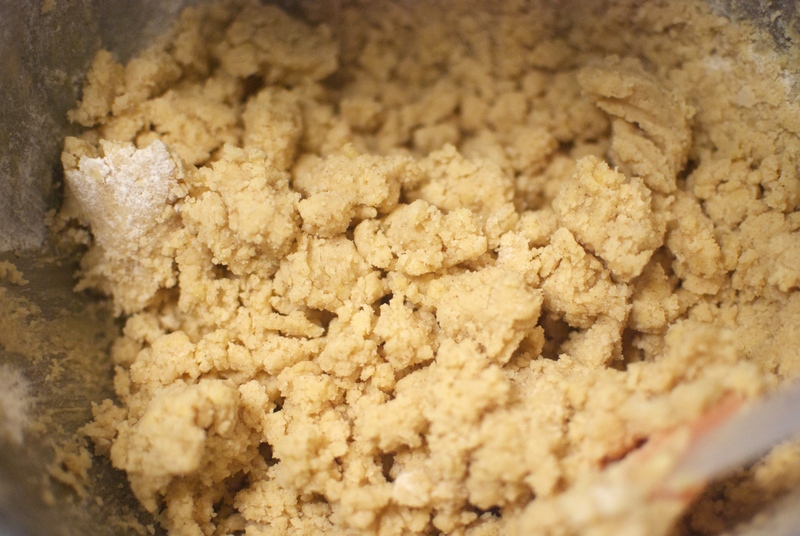 When the dough’s all ready, roll it out to about 1/8 of an inch thick. 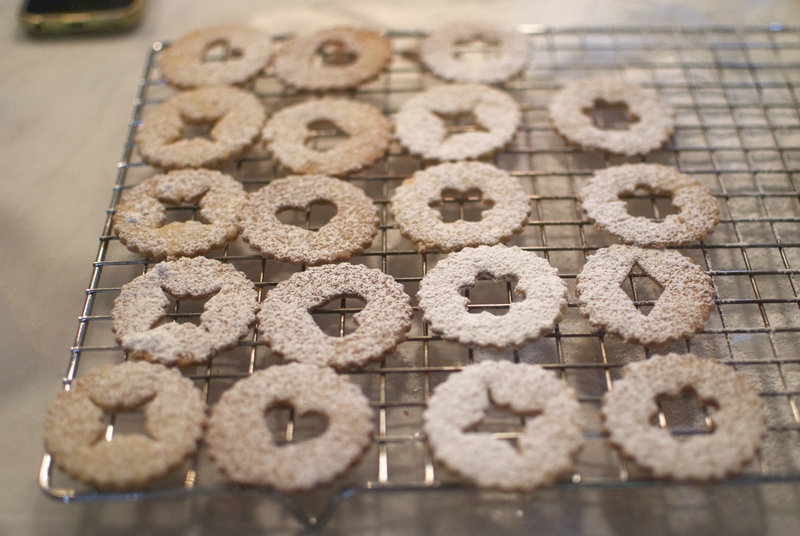 It may seem thin, but one of the great things about these cookies is how they’re not doughy. 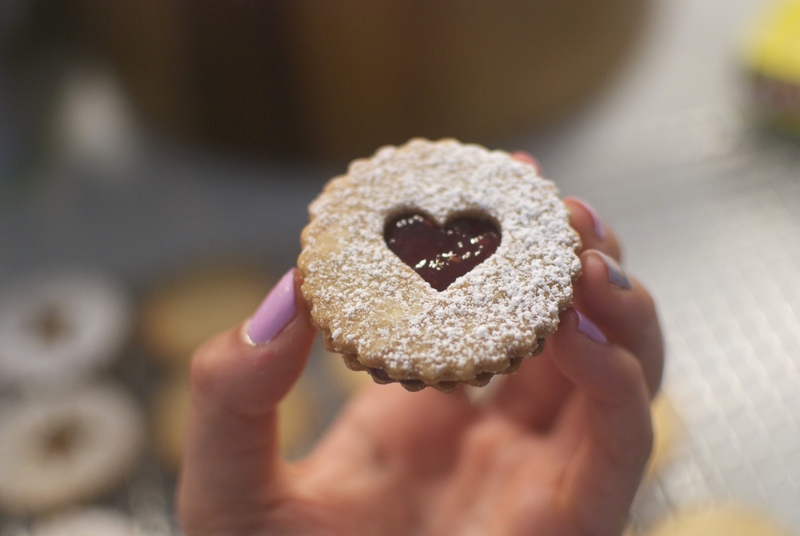 Cut shapes using whatever cookie cutter your heart desires, then cut smaller shapes out of half of them. And dust the tops with confectioner’s sugar. As you can see, mine got a little too brown. But no one has to know that. Pretty! See? 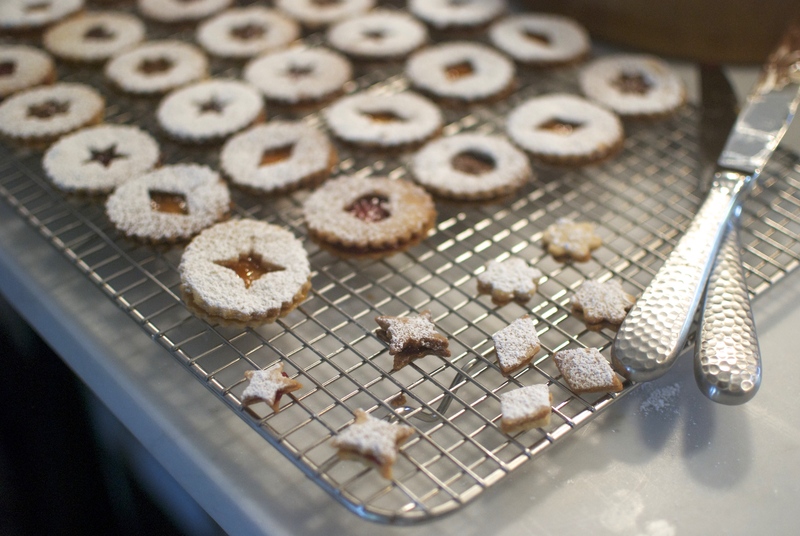 Powdered sugar hides all mistakes! Now for the fun part: spread a layer of your favorite filling. I used raspberry and apricot jam, and some Nutella for my chocolate-loving brother. And repeat! These are so fun and festive. And the cut outs from the top halves make great mini sandwich cookies. 1. Cream the butter, both sugars, salt, baking powder, vanilla, and cinnamon. 2. 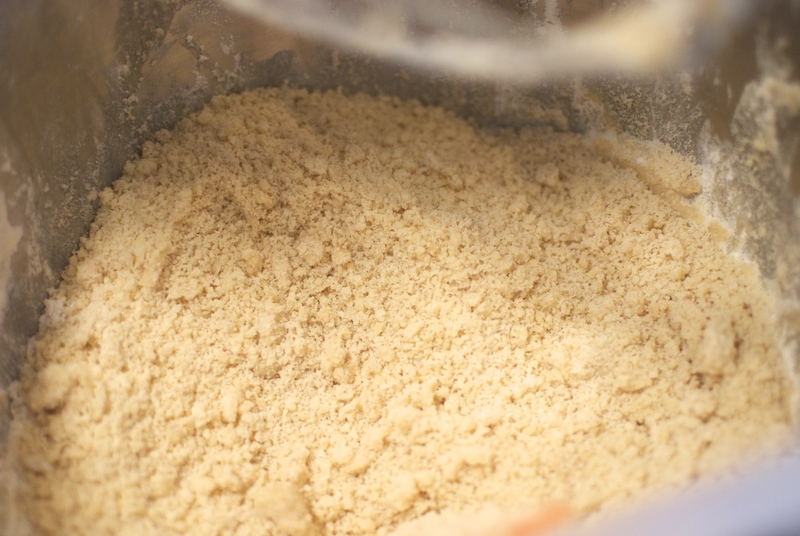 Mix in both flours and the egg. 3. 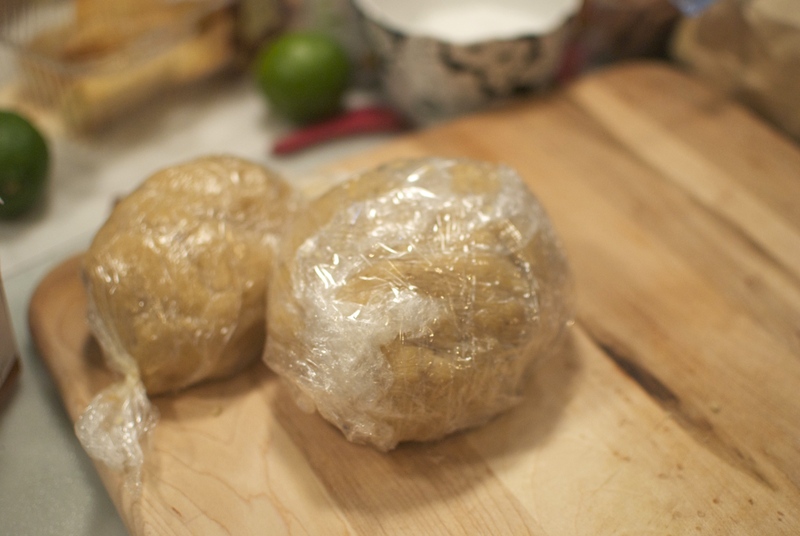 Divide the dough in half, wrap with plastic wrap, and refrigerate for 1 hour OR freeze until needed*. 5. 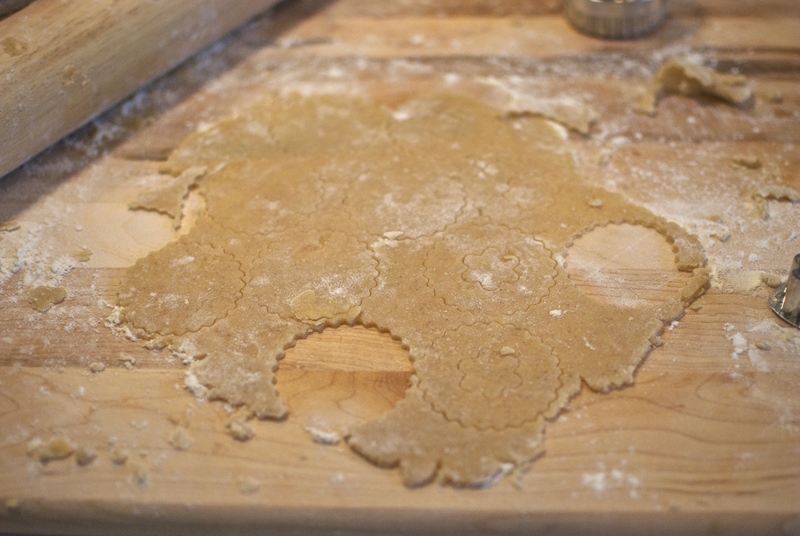 Roll out dough to 1/8 of an inch in thickness and cut shapes. 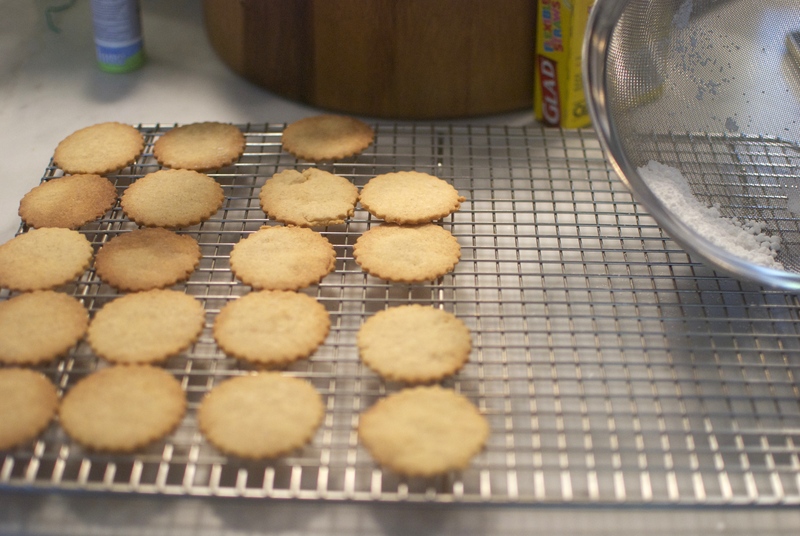 Cut smaller shapes in half of the cookies to create the top halves. Place onto a parchment lined baking sheet. 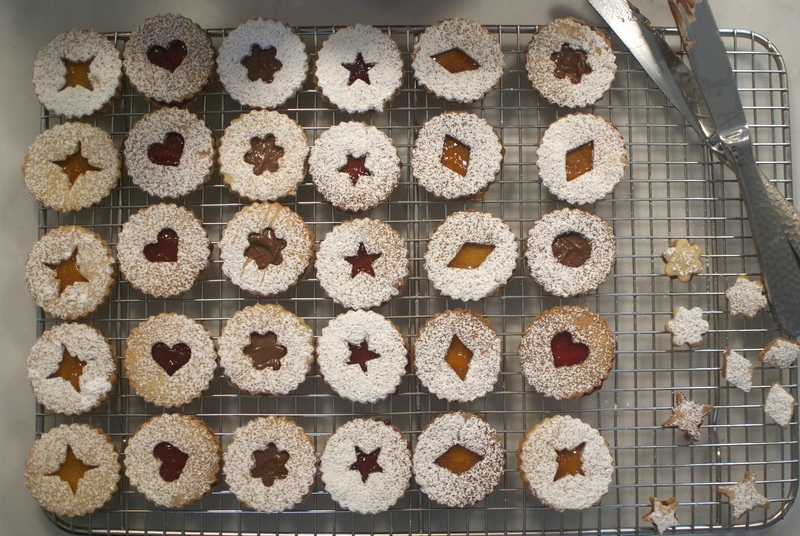 The cookies won’t spread much, so they can be pretty close together (I’d leave an inch). 6. Bake 8-10 minutes, or until light golden in color. Cool completely on a wire rack. 7. Dust the tops of the top halves (the ones with the cut outs) with confectioner’s sugar. Spread a bottom cookie with the filling of your choice and sandwich with a top half. *NOTE: If you choose to freeze some dough, just put it in the fridge the night before you want to bake it and then roll out as usual. Happy holidays, and happy nibbling! Wow these cookies look just fabulous! Loved the rest of the images as well, your pictures are class!